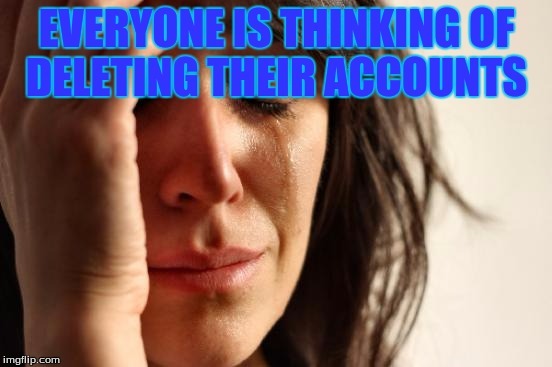 Every is thinking of deleting their accounts and taking breaks from them so they can think about it, I am not planning ANYTIME soon to delete my account, I let nothing get in my way of my Job here on IMGflip(even though I don't get paid) So if I am depressed it does not make me delete my accoun, It doesn't take Dirty rotten little Brat trolls to take me down and delete my account. Just like raydog, He Will be around for a LOOONNGG time and it also doesn't take trolls to make him lose his rightful place on the leaderboard. Sure roast him, burn him, HE WILL STILL BE HERE. If I hadn't deleted my old account, I'd be on the leaderboard by now. As it stands today, I'll need another month. I know today will be a low point day because I posted some of my old animations. Ain't nothing wrong with that. Points are fun, but community interaction is the best! Definitely. The jerks and such were easy to handle. What bothered me most was that I'd been cut back to two memes a day. And it took forever for them to be featured, when they finally featured. I didn't think to use the feedback form then. I don't know why I was cut back on submissions. I've always had enough to submit. Heck, I've still got all the philosoraptor memes I made and was waiting to post, about seven or eight of them, so getting cut back was really getting on my nerves. The day I deleted my account, I had submitted my two memes at 3AM EDT, and neither had featured by 8PM EDT. I downloaded them and the ones I had on deck and deleted my account. I had problems like that when I came back later, but I started using the feedback forms if it got past 15 hours. The last meme I submitted that didn't feature, I found out why and corrected it. It'd be nice if, when imgflip decides not to feature a meme, that they at least change the status to rejected. Yeah, a rejected or other similar status would be nice, that way you don't just sit there wondering. I think around the time you deleted your first account is when the mods were terrible at featuring custom memes. They've gotten a lot better. I don't know if you saw my "pie chart", but that was technically a custom meme and got featured within 30 minutes this morning. I have to say I'm glad the ads are on the site now. As much as I use the site and do GIFs I don't mind paying for Pro. The more revenue they have, the more improvements they can make, and the faster they can do so. Saw it? Where do you think the C&H pecker upvote came from. LOL. I went pro this month because I know they do pay attention to paying customers. It's funny, though. Like I said, I do a lot of custom memes, so a couple hour delay doesn't bother me. But if I see a 1 hour old meme with a witty comment like, Annie Magillacudhey has cooties, then I get irked that my funny one hasn't been featured after 15 hours. It still takes a couple hours to recover from a downvote party, but since I keep my head and don't get combative or resort to name-calling, I don't have to worry about staying in time out. Downvote party members, OTOH, may get put there based on their replies. So distracted right now with work...lol DOH! So three Pro accounts I know of. You, Dash and me. That's why most of my posts don't have the watermark. Not sure if Raydog has a pro or not. I do it because the customer service is a bit more prompt to cash customers. I still wish they'd give us a fourth submission, though. LOL. I leave it on stealable memes so if it shows up someone else it has the imgflip watermark. If it's something specific to imgflip or I say imgfilp on it somewhere I remove the watermark, and if I've stolen a GIF from someone where I try to remove ALL watermarks. Most of the GIFs I'm posting I don't have to worry about. My own work. Most have the Swiggy tag on them. 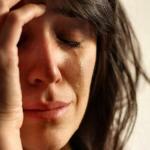 Or my watermark face. I've been doing animations for 18 years. Yeah. I'm versatile. I do need to get a new watermark, though, for my memes. So you are going somewhere? Proper punctuation is not required on memes. It's two different sentences. Sarcasm does not translate well to the written word. That's where a smiley emoji comes in handy or a j/k. Ah, thought it might have been more obvious, but obviously my idea of obvious is not as obvious as other people's ideas of obvious obviously are. LOL, it's all good. I've told many a memer sarcasm doesn't work here unless is on a meme template that's known for sarcasm, like Grumpy Cat or Robert Downey Jr.
LOL, seems like you're a new user, you might benefit from the Tips & Tricks meme listed on account profile tagline. I have officially decided I'm not gonna leave, I'm staying! 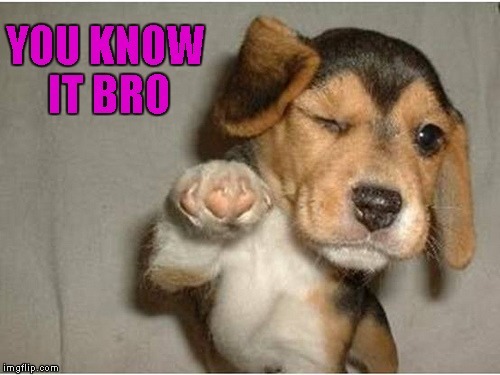 Over half of the people on imgflip are nice, so I'm staying! Actually, one thing I liked here at first sight (besides the humor) - - - was good humor. (Not the ice-cream, the people.) A few low-life snarks don't really affect this being one of the nicest, most mutually supportive sites, and just a bit of fun. Otherwise, I'd have bailed long ago. :D hey it looks like you only live off comments! Can't argue - you're right! I suppose it's sort of "cheating", but I try to contribute this way, and just enjoy the weird creations of those who have (or take!) the time to submit them. That's awesome! Hey would you mind taking a look at my memes? Assume I'm a moron (or just a noob), and tell me how. I'll give it a shot. It's simple! Just click on my name! but that's not going to happen in A long time.